Hello, my name is Tania Jarosewich, owner of Censeo Group, a northeast Ohio program evaluation firm that supports educational agencies and nonprofit organizations in evaluating their programmatic efforts. We northeast Ohio evaluators are excited to welcome you to Cleveland for Evaluation 2018. Check out the Rad Resources below for a list of Cleveland-focused Twitter feeds. Why Twitter? Well, it’s an easy and quick way to learn about upcoming events and a good place to learn about new evaluation results and research findings. Max Pixel Creative Commons Zero – CC0. It’s easy to post a link and quickly share information with followers, but is Twitter an effective way to share work and build knowledge in the evaluation community? Research about the impact of tweeting on article or report downloads and citations has been equivocal. One study found a correlation between Twitter activity and higher citation rates in the area of ecological research. However, other studies have not found differences in the number of citations based on whether or not the author is on Twitter. Although there might not be a clear correlation between Twitter and citations, there is a benefit of using Twitter to disseminate evaluation or research findings. 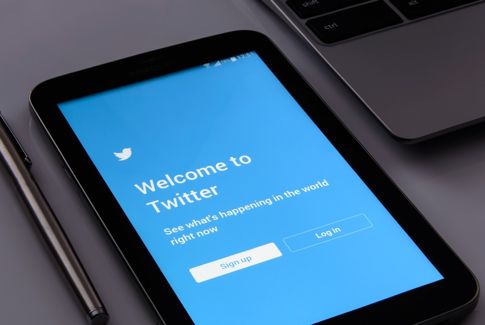 Twitter users who have a large following and compelling or interesting findings, have a greater chance of sharing findings with an audience wider than colleagues who would read a scientific journal, for example increasing visibility on Google searches. Tweeting about a project or finding, a relatively quick task, could amplify the message and communicate with a wide and varied audience. Rad Resources: Add these Twitter handles to your feed to get a sense of what is happening in Cleveland and find places to visit during the conference. Hot Tip: use the #Eval18 hashtag to tweet about or follow tweets about the AEA 2018 conference. We’re looking forward to the fall and the Evaluation 2018 conference all this week with our colleagues in the Local Arrangements Working Group (LAWG). Do you have questions, concerns, kudos, or content to extend this aea365 contribution? Please add them in the comments section for this post on the aea365 webpage so that we may enrich our community of practice. Would you like to contribute to aea365? Review the contribution guidelines and send your draft post to aea365@eval.org. The American Evaluation Association is an international professional association and the largest in its field. Evaluation involves assessing the strengths and weaknesses of programs, policies, personnel, products and organizations to improve their effectiveness. AEA’s mission is to improve evaluation practices and methods worldwide, to increase evaluation use, promote evaluation as a profession and support the contribution of evaluation to the generation of theory and knowledge about effective human action. For more information about AEA, visit www.eval.org. Get E-mail Alerts When American Evaluation Association (AEA) Sends news releases. Welcome to the News Release Wire Selection Control Panel. If you would like to use this feature, please become a journalist member or login to an existing account. To block seeing future news releases from this sender in the display of news releases on the NewsReleaseWire.com site, please click the button below.